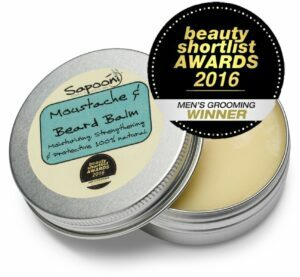 Formulated for a clean, smooth, natural wet shave. 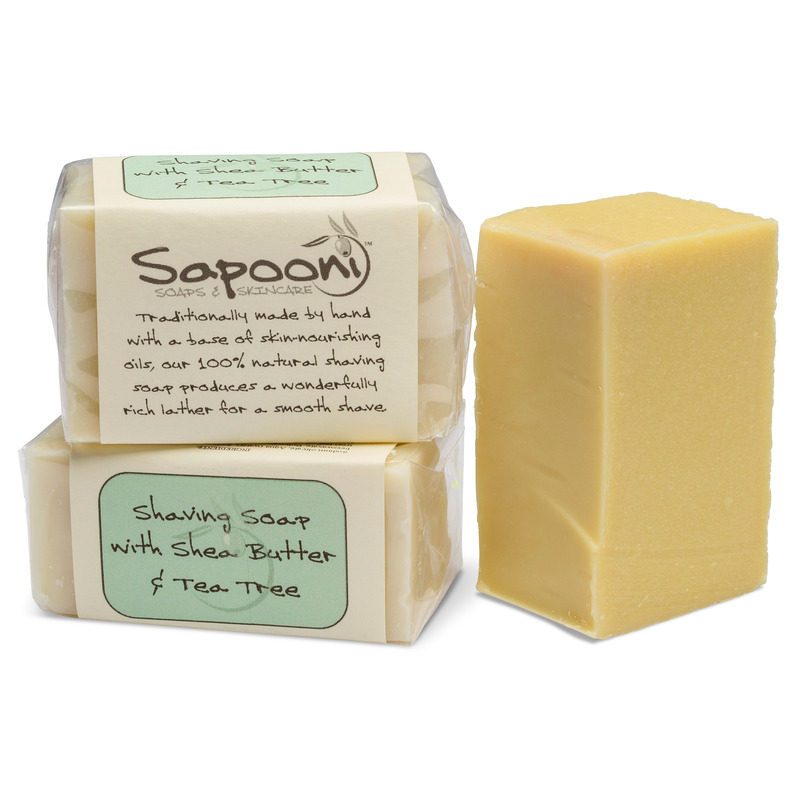 We use gentle natural ingredients and traditional methods to produce our handmade, natural shaving soap. A great little shaving kit containing a bar of our natural Shaving Soap, which we’ve formulated to give you a clean, smooth, natural wet shave. 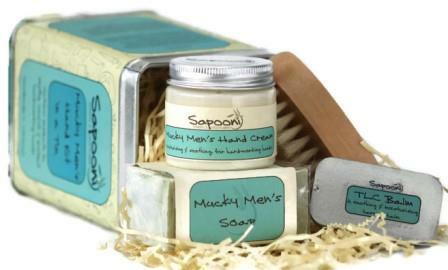 As many modern shaving products are packed full of chemical nasties, shaving can really irritate delicate facial skin. Not so with our natural shaving soap, which we’ve formulated with gentle, natural ingredients. 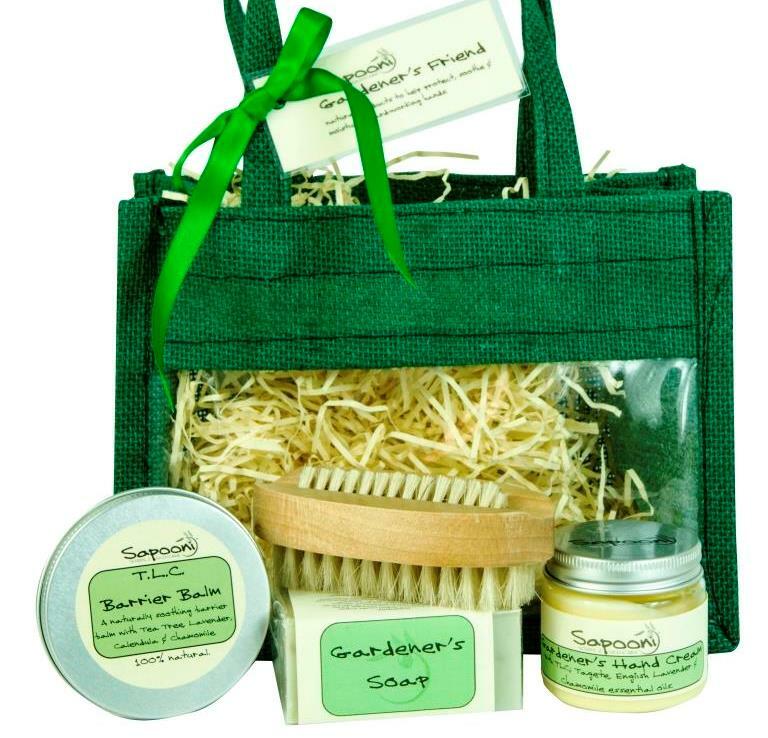 The Shaving Kit is presented in a simple organza bag, with gift tag. 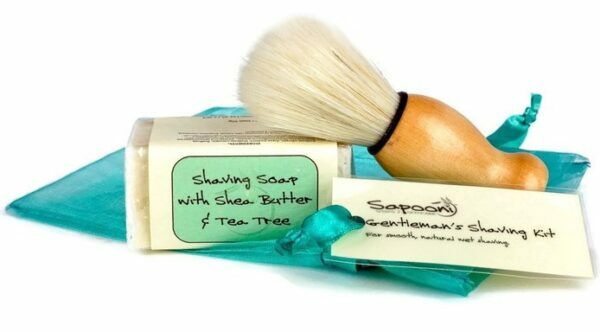 Natural Shaving Soap; We make our antiseptic shaving soap by hand, using oodles of coconut oil, to give a rich creamy lather of tiny bubbles. This soap won’t go to a mushy mess when you use it, and it’s made with gentle, natural ingredients. We’ve included skin-nourishing olive oil, white clay to allow the razor to glide over the skin, and a generous amount of Shea Butter to moisturise your skin. We’ve also added a sprinkling of beeswax, which will help to help seal moisture into the skin. Finally, we’ve added soothing Aloe Vera gel, vitamin E, and Lemongrass and Tea Tree essential oils to cleanse and refresh the skin. 100g bar. Natural Shaving Brush; Our wooden-handled brush is made to a traditional design, so it’s perfect for working up a lather on our natural shaving soap. The bristles are 100% natural, made from boar hair. Sodium olivate, Aqua (water), Sodium cocoate, Sodium beeswaxate, Butyrospermum parkii (Shea) butter, Melaleuca alternifolia (tea tree) leaf oil, Cymbopogon schoenanthus (lemongrass) oil, Kaolin (Cornish white clay), Aloe barbadensis (aloe) leaf extract, Tocopherol (vitamin E), Preservative(Phenoxyethanol, Caprylyl Glycol). Naturally occurring in essential oils; Citral, Eugenol, Geraniol, Linalool, Citronellol, Limonene. This soap is Free From palm oil, mineral oils, tallow, lanolin, artifical fragrances,wheat, nut oils, sesame, soy, egg, SLS, SLES.